Blue Rose Epics | Entertainment: Happy Birthday Alicia Witt! 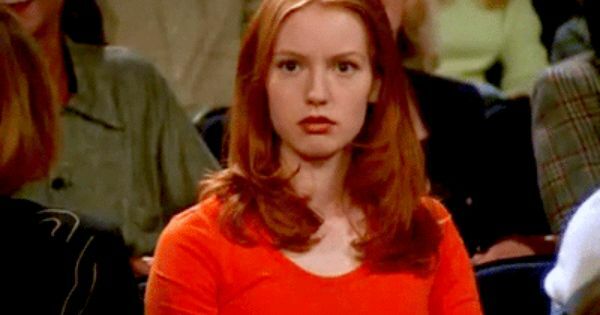 Happy Birthday Alicia Witt! Some attentive viewers of The Walking Dead (2010-Present) might remember her as the memorable Savior Paula, whose interactions with Rick's group led Carol on a season-long attempt at pacifism to avoid fighting in the impending war with Negan. Alicia was the brilliant younger sister of Paul Atreides, "St. Alia of the Knife" in David Lynch's science fiction epic Dune (1984)–which I created an extended edit for called Dune: The Complete Saga. Alicia's memorable performance as a child in that movie has long been a highlight for me and my family, and the glee she shows in dispatching her enemies in that movie is something special that does not happen in movies very often–pure magic. The most precocious assassin in all of Dune! 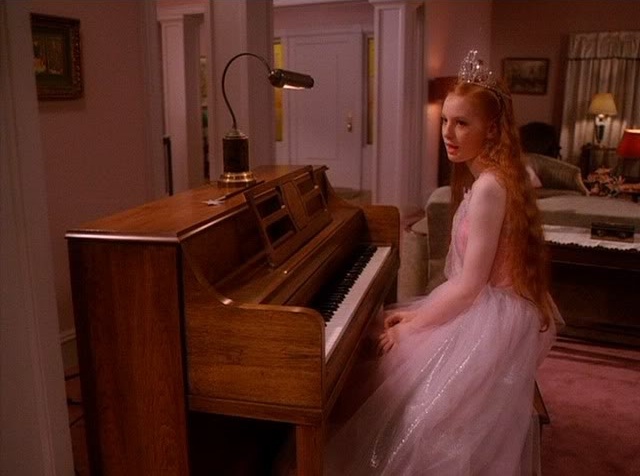 Alicia then graduated high school at 14 years of age so she could focus on acting, which she got to do with David Lynch again as Donna's younger piano-playing prodigy sister Gersten Hayward in the TV classic Twin Peaks (1990-91). She also happened to be a piano-playing prodigy in real life, too, and has done well for herself as a musician / singer combo to be reckoned with! I loved her as Crispin Glover's troubled wife Diane in David Lynch's short-lived anthology series Hotel Room (1993), which featured some of my all-time favorite acting moments from her. It is tough to a find a version of this to watch, but worth digging around for Alicia's role. And notably, for me at least, she had a very successful run as Cybill Shepherd's TV daughter Zoey in Cybil (1995-98). I was totally not the target audience for this show, but as a teenager with a crush on Alicia I found myself pulled in and surprisingly found myself thoroughly enjoying the show. It is a very underrated, well-written comedy series that is still worth checking out. And Alicia turned heads again as a grown-up Gersten Hayward in last night's Part 15 of Twin Peaks: The Return (2017), where she lovingly cradled a troubled Steven in the woods. Along with Jeff Winger (Joel McHale) in Community (2009-2015), Alicia Witt is in all our hearts! We love you, Alicia!